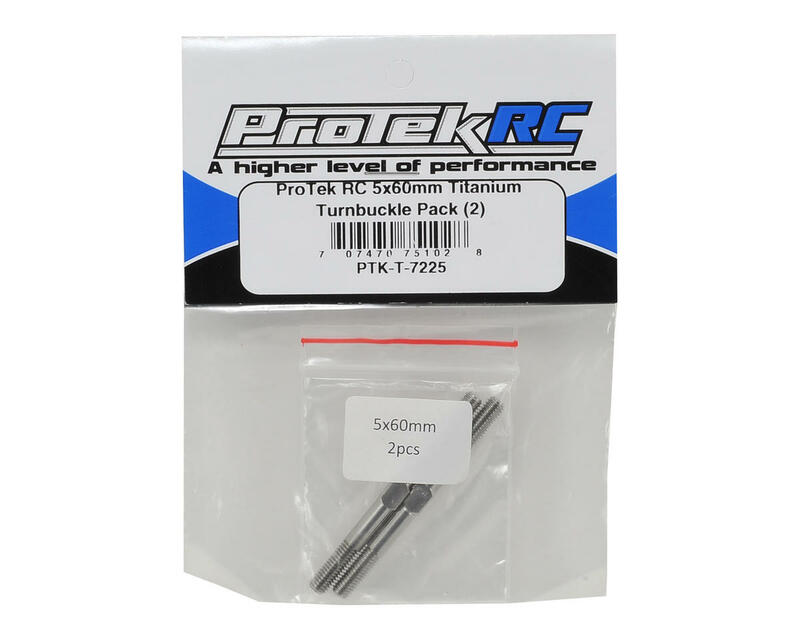 This is a pack of two ProTek R/C 5x60mm Titanium Turnbuckles. 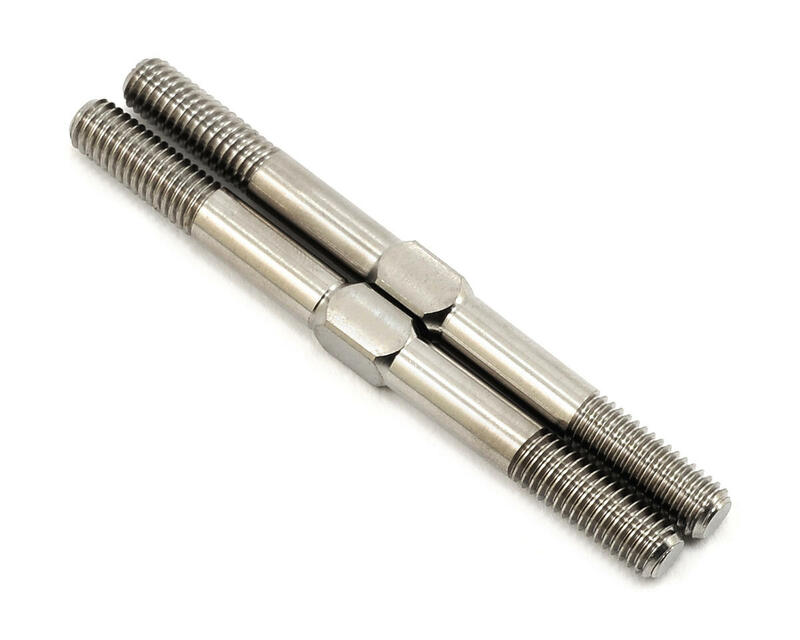 These titanium turnbuckles are CNC machined and thread rolled to near-exact tolerances from high-quality 6AL-4V (Grade 5) titanium alloy material and polished to a brilliant finish. Each turnbuckle is marked with thread directions for easy identification. Note: To ease the installation of new ball cups, add a small dab of ProTek R/C "Premier White" Grease (PTK-1412) to the threads of the turnbuckle.